New Delhi: The Indian Railways on Thursday successfully conducted the trial run of the country’s fastest train, which will cover the distance between Delhi and Agra in targeted 90 minutes at a speed of 160 kilometres per hour. The semi-high speed train was flagged off from platform number six of the New Delhi Railway Station earlier this morning and reached Agra at around 1 pm. The train, however, took 100 minutes to cover the distance today as against the targeted 90 minutes. The semi high-speed train will reduce the current travel time between Delhi and Agra from 120 minutes to 90 minutes. At present, the Bhopal Shatabdi Express is India’s fastest train that runs at 150 kmph between Delhi and Agra stretch. With the trial run being successful, the semi high-speed train service is likely to start in November this year. 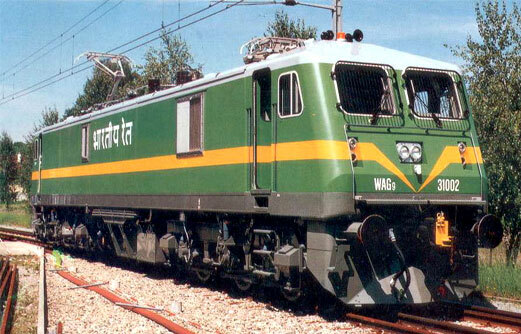 Doing the honours was an WAP 7 5400HP electric locomotive from the Ghaziabad Loco Shed. On board the train were a host of senior railway officials, including Commissioner Railway Safety PK Vajpayee and Divisional Railway Managers (DRM) of Delhi and Agra Divisions. Anurag Sachaan, DRM of Delhi Division, earlier said that the special train will have 10 coaches and will make the return journey today itself. “It’s like the Shatabdi train… coaches are same too, but it will be faster,” Sachan said. To ensure a smooth test run, the Railways had deployed RPF personnel along the route. Sachaan informed that there are about 16 speed restriction areas and curves on the Delhi-Agra route which are being upgraded now to improve the speed. It is estimated that a cost of Rs 15 crore would be incurred to make the track ready for the semi-high speed train. There will be fencing for a stretch of 27-km along the track between Delhi and Agra to prevent obstruction and ensure speed. After the Delhi to Agra service, Railways will run similar trains for Kanpur and Chandigarh from the national capital.